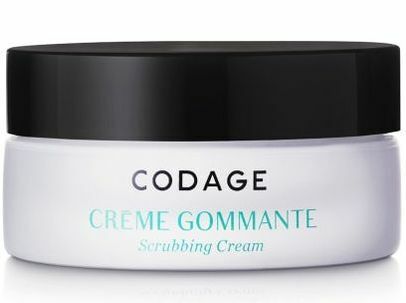 The CREME GOMMANTE (Scrubbing Cream) is a rich and soothing emulsion made from fine rice particles which enables optimal facial exfoliation. Respectful of even the most sensitive skin types, this scrubbing cream eliminates impurities and dead skin cells, while stimulating elasticity and cellular renewal. The complexion is smooth, even and glowing. 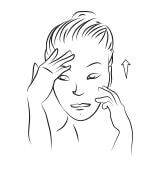 Aqua (water), glycerin, caprylic/capric triglyceride, Oryza sativa (rice) hull powder, Butyrospermum parkii (shea butter), C10-18 triglycerides, cetearyl alcohol, cetyl alcohol, glyceryl stearate, sodium cocoyl amino acids, magnesium aspartate, lactic acid, polyacrylate crosspolymer-6, copper gluconate, bisabolol, zinc gluconate, PEG-75 stearate, methylpropanediol, ceteth-20, phenoxyethanol, steareth-20, caprylhydroxamic acid, disodium EDTA, BHT, panthenol, allantoin, parfum (fragrance). Using the spatula, take the wanted quantity of scrubbing cream and apply it on dry face. Avoid eye contact. 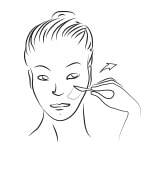 Use small circular movements until the cream is absorbed and add water gradually to perfect the exfoliation.